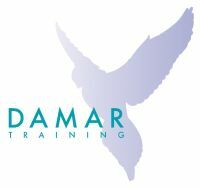 The results are in for Damar Training’s Annual Apprenticeship Awards 2016. Over the past year, we are delighted to have worked with over 1,500 apprentices at more than 300 employers across the country. The judges’ deliberations are over and we can now reveal who has been selected as the best of the best. The awards coincide with National Apprenticeship Week (14-18 March 2016) and, this year, recognition has been given to outstanding apprentices, employers and apprentice supervisors. We have also recognised, with the Mark Aspinall award, the achievements of an apprentice who has overcome particular challenges. The Mark Aspinall Award – Neil Williams, Alvanley Family Practice. You can learn more about Neil here. “We are exceptionally proud of all our 2016 winners. A recurring theme across all of the winning entries was the positive impact of apprentices on their workplaces. “The standard of the nominations this year was exceptional and demonstrated, time and time again, how good apprenticeships contribute to greater productivity, increased profits, better morale and staff retention. 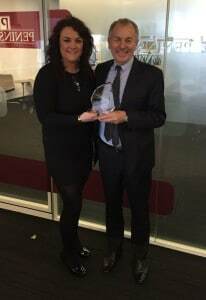 “We are absolutely thrilled to be named employer of the year in Damar’s Annual Apprenticeship Awards 2016. By offering apprenticeships, we aim to provide young people with an opportunity to develop their skills and knowledge, helping them build a satisfying and rewarding long-term career. 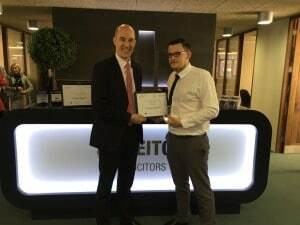 “I was delighted to support the judging process for Damar in their 2016 Annual Apprenticeship Awards. It is fantastic to see employers fully supporting apprentices and that there are so many young talented people who are dedicated in becoming stars of the future. We will be announcing our 2017 apprenticeship awards early next year. In the meantime, we encourage all our employers and apprentices to put themselves forward for other regional and national awards. In Manchester, the Skills for Business Awards are open for nominations until 20th April, details here. In addition, dates for the National Apprenticeship Service’s annual awards will soon be live, details here. We would like to thank our judges for their assistance this year: Gill Clarke, Jessica Fletcher, Jane Lockhart, Andy Lovatt and Neil Wainwright-Farrar. Many congratulations again to all our winners. We wish you all a very successful future.